Blessing Tangban was born and Raised in Cross River state, Nigeria. While in high school, she sang with a girl group called ‘Glorious voices’. At the age of 15 she moved to the USA to begin her tertiary education at Southern University at New Orleans where she also began her professional career in music. She holds a first class Associate degree in Substance Abuse Counseling, a first class Bachelor’s degree in Criminal Justice and a Masters Degree in Criminology. Tangban is a self-taught guitarist. She is also an avid volunteer. 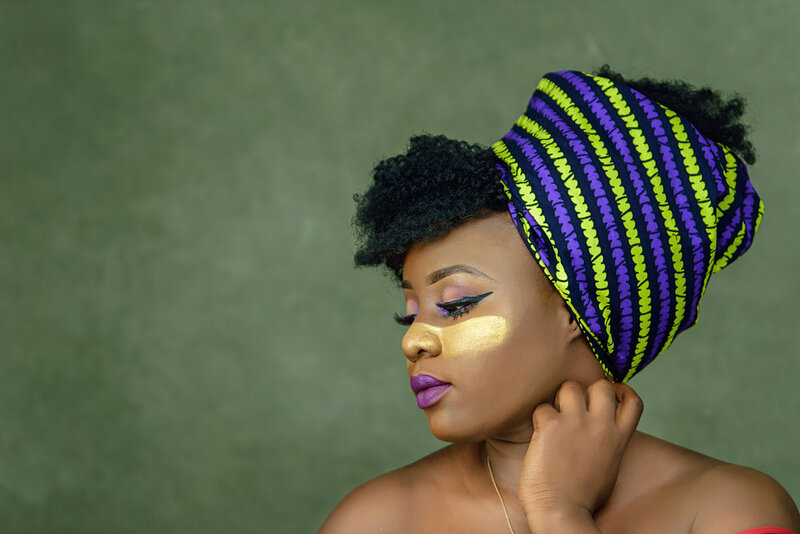 While in the university, she participated in a talent competition; Although she didn’t win the competition, Solanke Adesanya, one of the organizers of the talent competition, took her under his wing and gave her a platform at his wine shop to hone her craft. Thereafter, she started playing at other bars and coffee shops in New Orleans. She also co-founded a girl band with Lindsay Hausman called “Don’t call me Leslie”. Together, they played around the USA in states like Florida, and New York, to mention a few. Upon completing her masters education at the age of 21, she released her Debut EP ‘Nowhere Girl’ in New Orleans, Louisiana, independently, and to popular acclaim. She moved back to Nigeria shortly after where she worked with affiliates, Boombox Muzik. in 2017, She joined forces with Bluetooth Entertainment, a talent management outfit, and together, they've brought her popular acclaim in the Nigerian Alternative music scene. Blessing Tangban’s growing acclaim in the music industry earned her an invitation to perform at Splashy Fen, the Longest running music festival in South Africa, and other world class music Festival, for three consecutive years in a row (2017- present). It also earned her collaborations with top musical acts in the Nigerian Music industry like Johnny Drille. She has completed work on her first album 'Free' Which features a compilation of songs from her first EP, as well as brand new songs; 'Free' is now available for streaming and download on all digital music platforms.